Chicago, with its vast network of green spaces, world-famous sausages, heartland cooking and mouthwatering pies, has a kindred spirit in the West: the vast green expanses of The Resort at Paws Up. 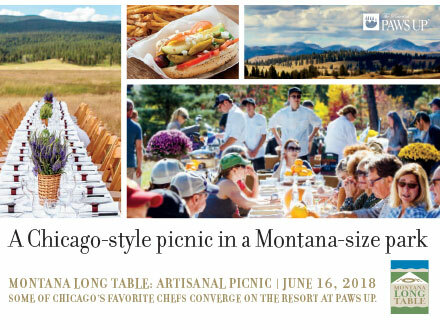 Once again, the top picnic chefs of the Windy City will blow into Montana for our Artisanal Picnic—culinarians skilled in everything from uber-tasty fried chicken to super-creative hot dogs and one-of-a-kind craft pies. Adding to our recipe for devilishly delicious success are the fresh local ingredients, from top Montana farmers and ranchers to exceptional brewers. New this year, we’ll be featuring regional artists and artisans as well, and you can linger to shop their wares. 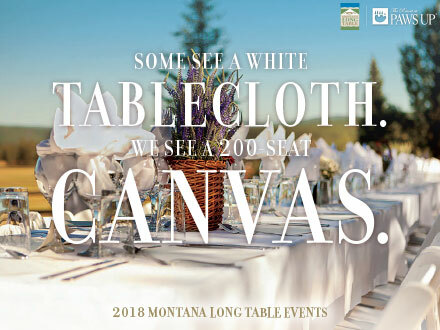 Mix in some excellent music with endless outdoor adventures, and you’ve got a genuine Artisanal Picnic, as only Montana and The Resort can do it. PS…come extra hungry, because the food will be as endless as the Big Sky above.